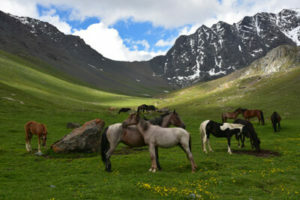 With its unique, striking mountains, Kyrgyzstan is slowly becoming a pretty popular trekking destination. 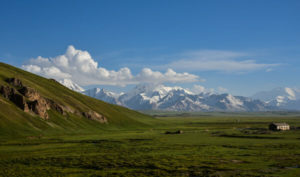 However, the mountains of Kyrgyzstan are, definitely, not the only reason why you should come here. 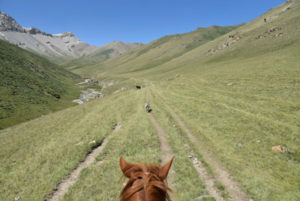 After spending two months exploring this Central Asian country, my conclusion is that Kyrgyzstan is an exciting destination which will, definitely, leave you fascinated. Honestly, I can’t recommend Kyrgyzstan enough. Language – Kyrgyz (a Turkic language) but Russian is widely spoken. 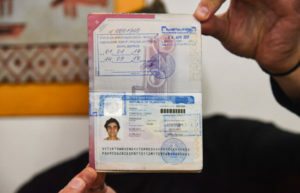 Visa – Most nationalities can get a 2-month free visa on arrival. Other nationalities can apply for an e-visa. 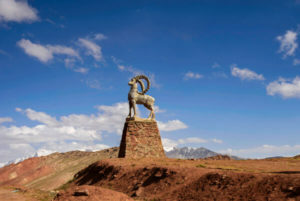 For more information, read my guide to Kyrgyzstan. 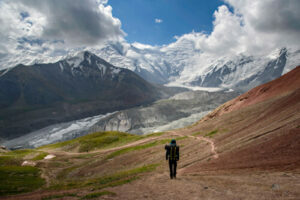 When to go – Kyrgyzstan is a trekking destination, so it is recommended to come from June to September. The rest of the year the mountains are covered by snow. 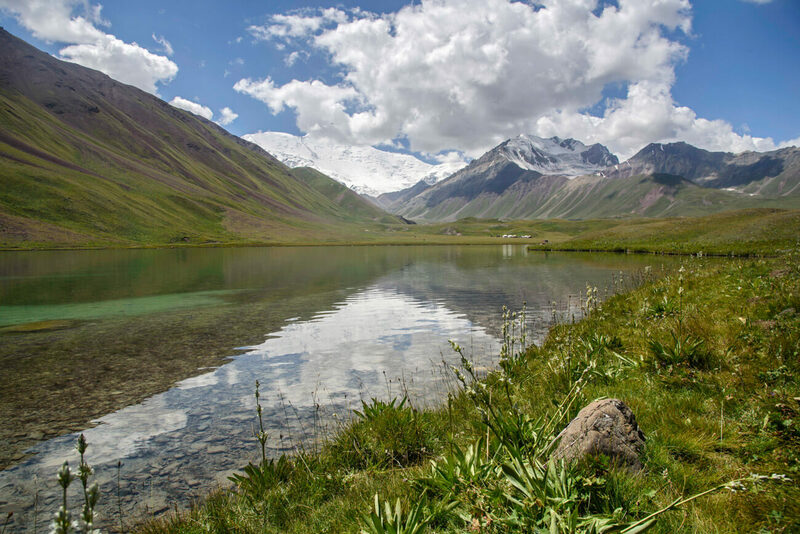 Trekking in Kyrgyzstan – Kyrgyzstan is the ultimate trekking destination and, for this very same reason, I have compiled this Beginner’s Guide to Trekking in Kyrgyzstan. 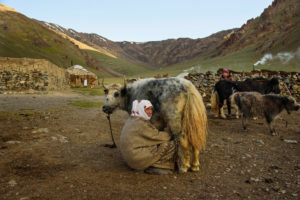 Staying with real nomads in a yurt camp – Kyrgyzstan is home to the most accessible nomadic culture ever. Hanging out in Bishkek – The capital of Kyrgyzstan is surprisingly Westernized. Typical costs – It is a very cheap destination. 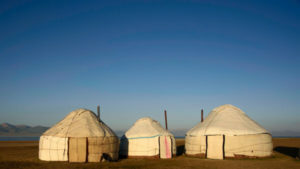 You can easily find homestays or yurts for 10USD a day, including dinner and breakfast. Meals cost around 1-2USD in local eateries and between 2-4USD in mid-range places. Public transportation within cities costs 15c and buses between nearby towns, less than 1USD. You can easily travel for less than 20USD a day. Transportation – Most Kyrgyzstan is easily accessible by public transportation. Locals travel in both marshrutkas (mini-vans) and shared taxis. 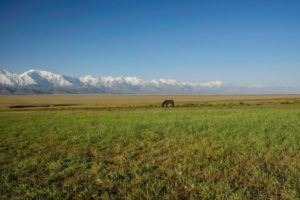 Accommodation – Kyrgyzstan has the peculiarity that, no matter where you go, locals offer their houses to foreigners for home stays. Whether it is a remote village or a touristic destination, as soon as you arrive, women will approach you, asking if you want to stay at their house. You can also book them in advance through booking.com. 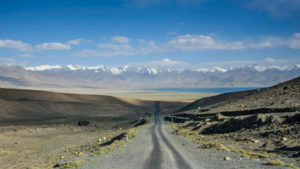 CLICK HERE TO FIND THE LATEST ACCOMMODATION DEALS IN KYRGYZSTAN!